Trade Balustrade is based in Milton Keynes. 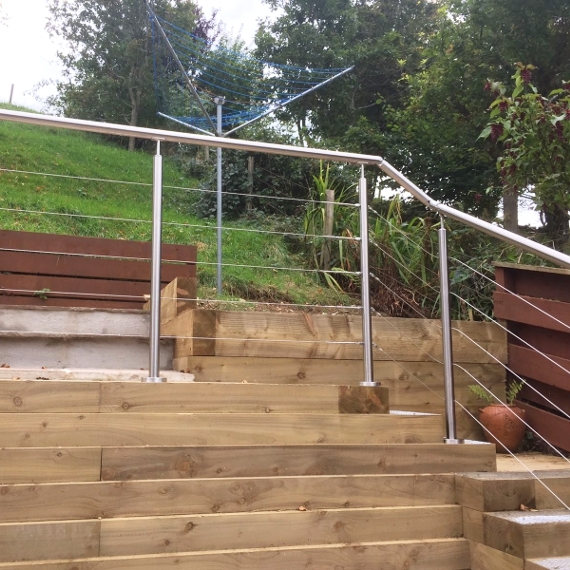 It is our objective to supply high quality Balustrade Systems at trade prices, which in turn cuts out the middleman. 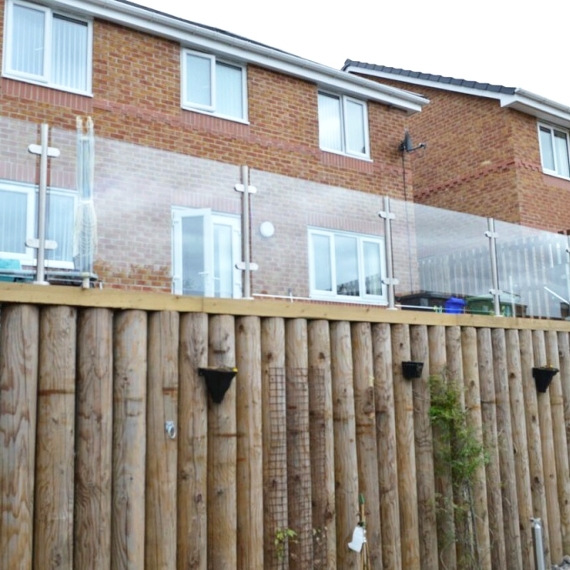 Our Balustrade Systems are manufactured in the UK using only the best top quality materials. The Juliet Balcony is a simple balustrade fixed to the external facade of a building to allow rooms on the first or higher floors to have inward-opening full-height french doors. This creates more light and sense of space, more views and is a simple solution to achieving the luxury feel of a balcony with relative simplicity. Our Channel Systems offer an aluminium shoe channel and glass infill that can be customized with either clear, tinted or frosted glass. The Channel System is the premium of systems for the ultimate style and sophistication for both indoor and outdoor use. We also offer this system with a satin stainless steel shoe channel finish. We offer many different balustrade systems. 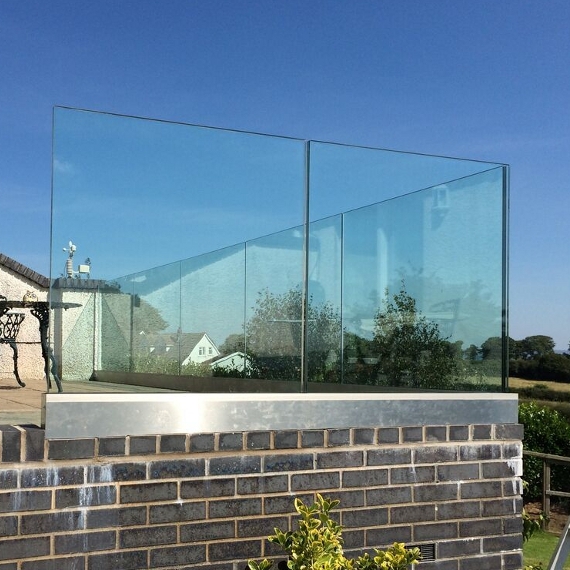 We sell top quality polished glass for your balustrade system. Our glass is sourced from one of the UK’s largest glass processors with over 80 years experience in the glass making industry. Every glass panel is quality checked to ensure our customers have 100% satisfaction, and not only that each glass panel comes with rounded corners and polished edges as standard; putting us ahead of the competition. We offer many different types of glass and no matter how bespoke your enquiry is, we are positive we will be able to help. You can get in touch with us direct or you can use our glass calculator to get an idea on measurements and price and buy online. Toughened Glass vs Laminated Glass. Toughened glass is up to five times as strong as ordinary glass which means that it has to be hit much harder in order to break, also when it does break it is broken into lots of small pieces which are much less dangerous. Laminated glass has the same strength as ordinary glass but it consists of two pieces of glass with a sandwich of plastic inter-layer. If the glass does get broken, this inter-layer holds the whole piece of glass in place so there is no hole left and no scattering of shards. 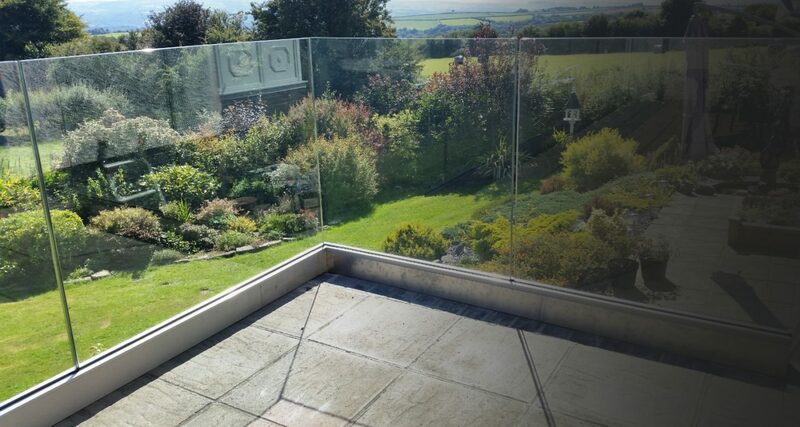 At Trade Balustrade our goal is to firmly cement our position in the market and become one of the UK’s most prominent and largest one stop Balustrade suppliers to both the Trade and the Public. 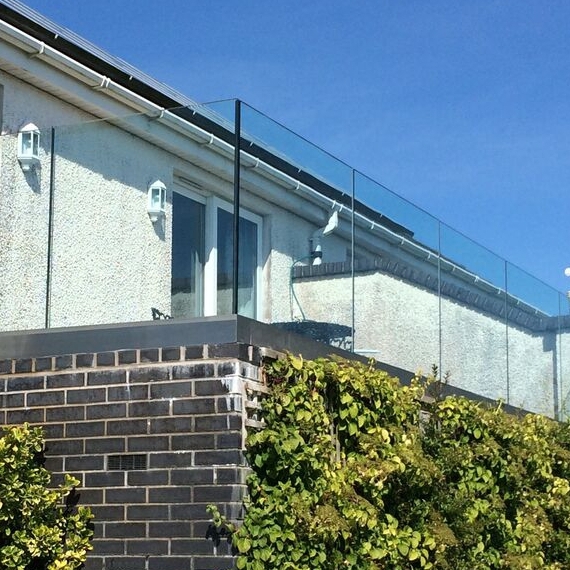 We strive to offer nothing but the highest quality components and Balustrade Systems at the most competitive prices. 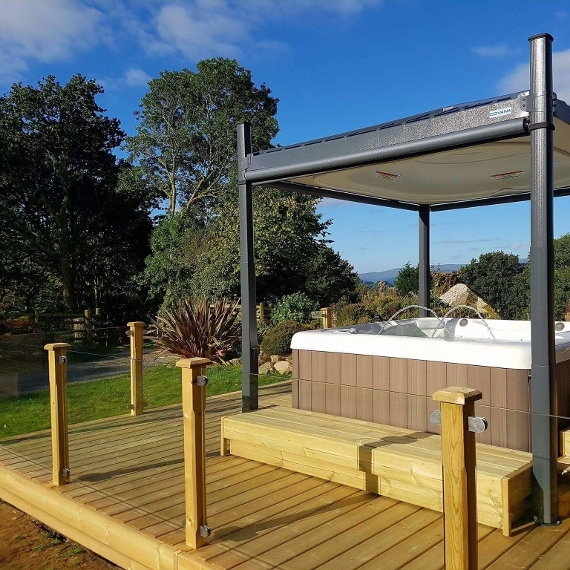 For each and every customer, whether it be a trade customer or an end user, we strive to provide nothing less than 100% satisfaction on both service and quality. We make sure that your Balustrade requirements are met at an affordable price. 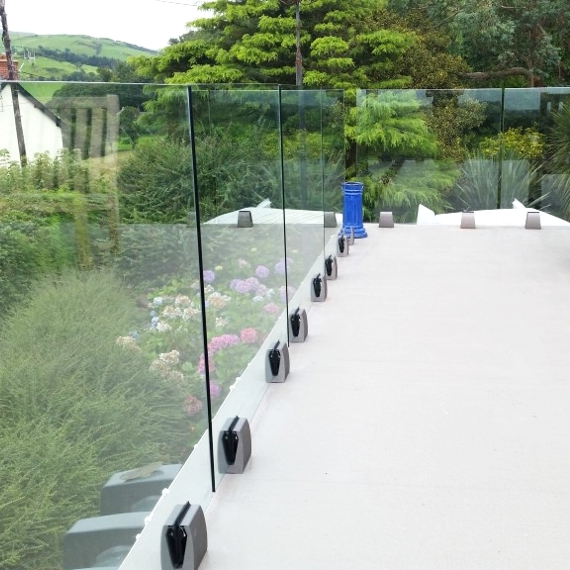 Over the years we have supplied top quality balustrade systems and balustrade glass to many different clients around the UK. Why not take a look at some of our projects and see the finished results for yourself. Thank you Trade Balustrade, I can’t recommend you enough. I absolutely love our new balustrade system, it finishes off our patio perfectly and I can’t stop looking at it! We have had many comments from friends and family saying how beautiful it is. I also found your service extremely helpful. Thank you so much! We strive to offer nothing but the highest quality service. Our Handrails and Balustrade are all Manufactured in our factory in the United Kingdom. We manufacture in house, our prices are trade & we guaranteed to beat any like for like quote. We can assist you from start to finish with your project, no job is too big or too small for us. We stock over 500 lines of components and provide all of our customers with fast delivery. 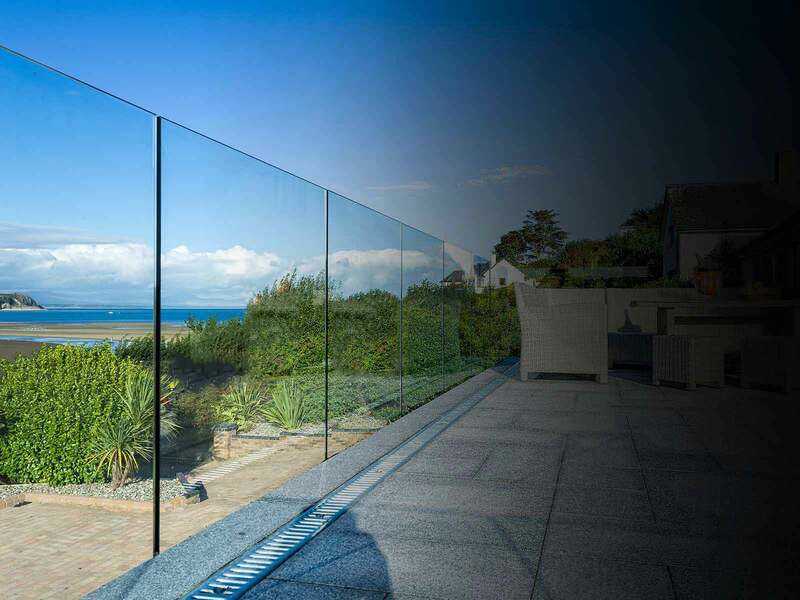 From component only orders to fully installed Balustrade Systems and glass, we supply all you need. 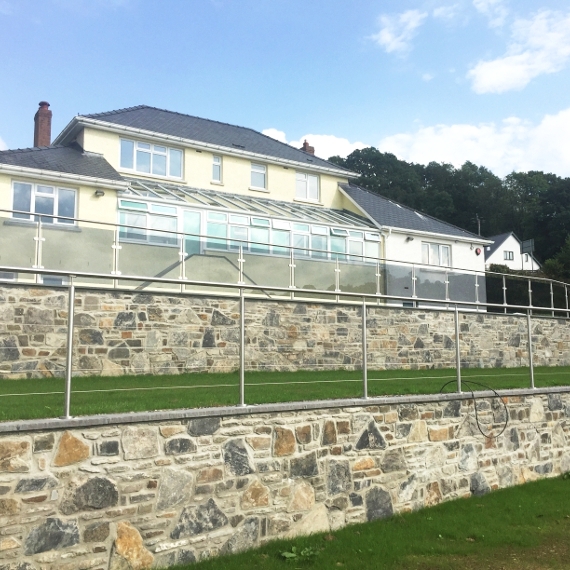 We have an excellent selection of Balustrade Systems which is constantly expanding. We accept payment from PayPal, Bank Payment, Debit & Credit cards with no hidden surcharges. We are always happy to help and offer any advice you may need about building regulations etc.